the less we are touched emotionally. 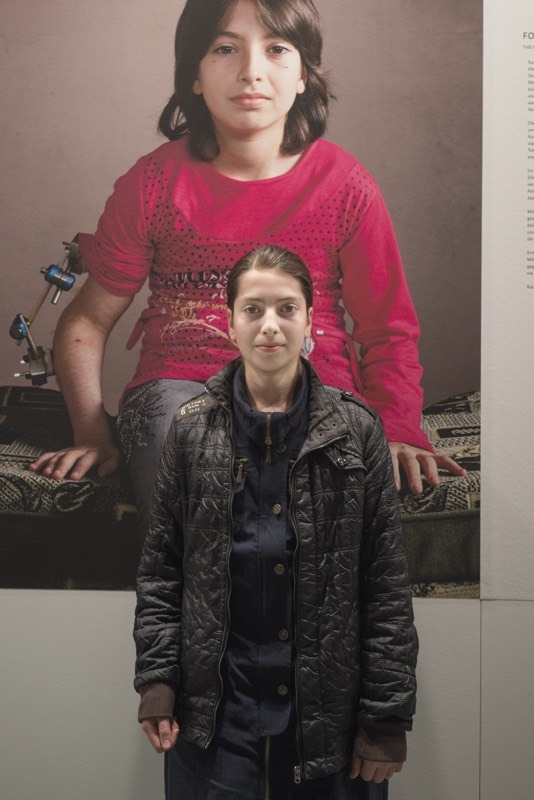 In 2014 and 2015 Kai Wiedenhöfer photographed for five months Syrian war wounded. Currently every weak 6 000 Syrians are injured. Syrian Collateral depicts forty of them in calm portraits which are complemented by long captions describing in detail each injureds fate. The portraits are combined with large panoramic landscapes of destroyed Syrian cities mostly Kobane. The injured and panoramas are interrupted by double paged fact sheets which provided the reader with basic figures about the damage which is done to Syria. For example the destruction of 2,1 million homes. Syrian Collateral is a quiet compendium of the most horrific conflict in our time. 22 panoramas, 40 portraits, 96pages, uncoated paper, 30x40cm, soft-cover. The show is exhibited in the German Foreign Ministry (Auswärtiges Amt, Werderscher Markt 1, 10117 Berlin) till 22, April 2016 from Monday to Friday 10am – 7pm. 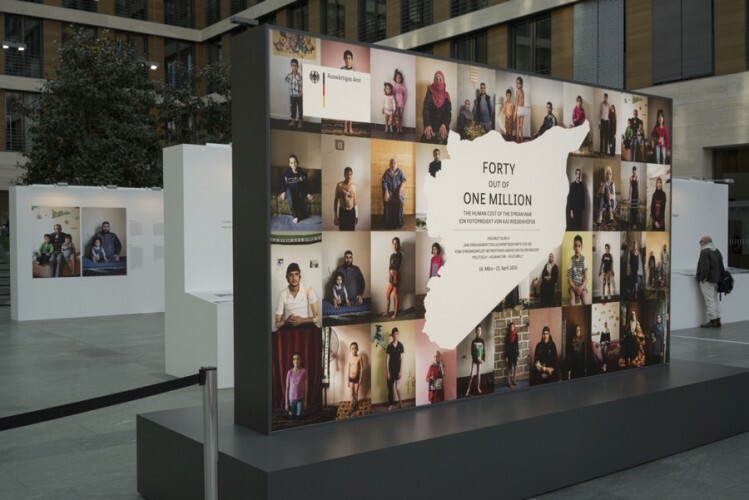 It consists of 24 portraits in the size 1×1,5m of Syrian war wounded which Kai Wiedenhöfer photographed in towns, villages and refugee camps in Jordan and Lebanon between spring 2014 and 2015.